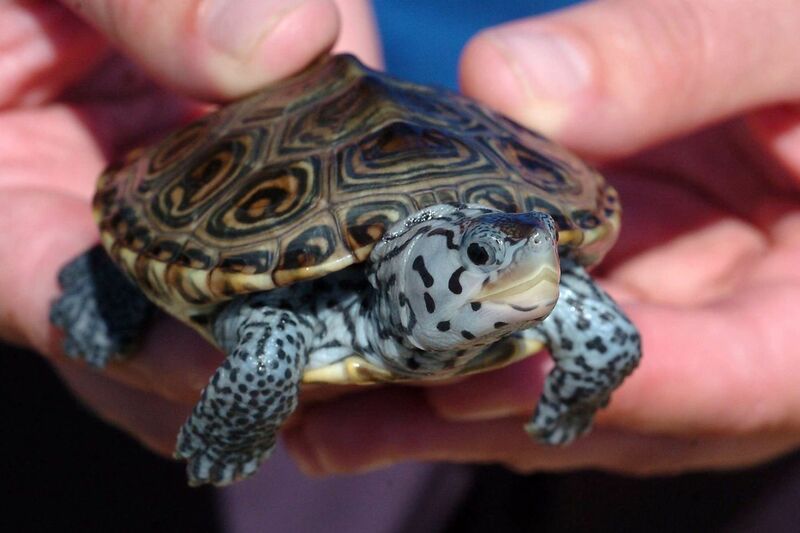 Harvesting of diamondback terrapins has been halted in several states. They are classified as a species of "special concern." For years, David Sommers would drive from his Levittown, Bucks County, home to New Jersey’s swamps and marshes, often under the cover of darkness, to collect turtles or dig for their eggs. But these weren’t just any turtles: They were diamondback terrapins, a species native to the East Coast that is in sharp decline. When hatched or mature, they can bring in thousands of dollars in sales. In New Jersey, it’s illegal to take or transport the semi-aquatic turtles. Federal law bans misrepresenting such sales by, for instance, claiming wild turtles actually were bred in captivity. In 2017, federal investigators, posing as buyers, launched an elaborate sting that included tracking Sommers' vehicle by GPS to remote wetlands. On Monday, Sommers pleaded guilty in U.S. District Court in Philadelphia to one count of false labeling for shipping a package with the turtles. The charge was filed under the Lacey Act, which makes it unlawful to submit false records for fish, wildlife, or plants that have been shipped in the United States or internationally. He was originally charged with six counts, including smuggling and trafficking, when he was indicted in July 2018. An attorney representing Sommers, Steven M. Jones, said he could not comment until after sentencing, which is scheduled for May 15. Sommers faces a maximum sentence of five years in prison and fines of up to $250,000 as well as restitution. Though Sommers collected and sold turtles for a number of years, federal officials narrowed the focus of the charge to the period of their investigation, from August 2014 through October 2017. Prosecutors say they found 3,442 diamondback terrapin hatchlings at his home. A court document shows his total sales over the period to be $530,341. According to his plea agreement, Sommers, now in his early 60s, began collecting eggs and female turtles from New Jersey’s coastal marshes at least five years before his arrest. He would sell the turtles or hatch their eggs in an incubator and post them for sale online, marketing them as captive-bred. In reality, they had all come from marshlands. Sommers, a retired reporter for the Trentonian and a part-time courier for a law firm, eventually grew the business to where he was selling 1,000 diamondback terrapins a year, earning between $50,000 and $75,000 annually, prosecutors said. He was not only warned by U.S. Postal Service employees that shipping turtles was illegal, but was also told by New Jersey wildlife officers, who once stopped him, that it was illegal to collect turtles and their eggs. Still, Sommers shipped the turtles to Canada and other parts of the U.S. In 2014, Canadian customs officials intercepted a FedEx package Sommers had shipped, according to court papers. The package was labeled as a book valued at $10. It actually contained 11 live diamondback terrapin hatchlings concealed in pouches. The turtles were valued at up to $1,320 in total. Canadian officials seized the package and identified Sommers as a common link to many known reptile dealers and bank accounts associated with turtle trafficking, his plea agreement states. The terrapins, which have diamond-shape shell markings, are protected under New Jersey law and by an international treaty, the Convention on International Trade in Endangered Species of Wild Fauna and Flora. New Jersey once allowed limited taking of terrapins, but banned that in 2016. The federal investigation began in 2017 when an agent in New York went undercover to buy turtles from Sommers through the website kingsnake.com. The agent ultimately purchased 17 diamondback terrapins for $1,394. Sommers had marketed the turtles as captive-bred, according to a court filing. Another undercover agent in Wisconsin also made a purchase. Agents then obtained search warrants to place GPS tracking devices on two cars owned by Sommers. New Jersey Division of Fish and Wildlife Conservation officers saw Sommers on a main road at 9:30 p.m. on July 11, 2017, in the Great Bay Management Area. Sommers showed the officers eight turtle eggs and said he had taken them from nests along the road, according to the filing. But the officers saw freshly dug holes nearby. They issued him a citation for being in the wildlife area after hours and warned him that collecting turtle eggs was illegal. However, the court filing says GPS located Sommers the next night in the same area in his other car, where he made stops between midnight and 2 a.m. before returning home. They then tracked Sommers again a few nights later, when an agent conducting surveillance saw him remove 188 eggs from his car. They tracked him at least two other times until searching his home on Oct. 24, 2017. There, court papers say, they found 3,442 diamondback terrapin hatchlings and 23 box turtles. They also found oxytocin, a hormone used to induce female turtles to release their eggs. Shipping packages and labels we also discovered. Sommers then admitted he had been collecting eggs and turtles from New Jersey. “The quantity of terrapins Sommers had for sale dwarfed any other seller,” federal prosecutors stated in his plea agreement.